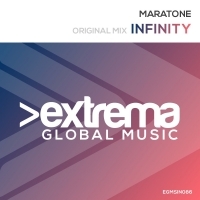 Maratone steps up on Extrema with a summer anthem in waiting. Infinity merges strong acid lines with lush ethereal vocals to produce a peak time bomb with a blissful breakdown that delivers on every level. 'Infinity' is available now from Beatport and iTunes.